A geography student was handed a suspended sentence for intending to supply a psychoactive substance at Boundary Festival last year, police said. Nicholas Chroussis, 22, of Wood Green, London, was sentenced to six months in prison, suspended for 18 months, after being found with nitrous oxide - commonly known as laughing gas, Nos or hippy crack - at the Brighton festival in September. 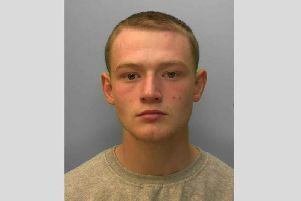 He was also ordered to complete 150 hours of unpaid community service and to pay a victim surcharge at a sentencing hearing at Lewes Crown Court on Tuesday (August 22). Sussex Police said Chroussis was stopped by security staff as he tried to enter the festival and was found to be in possession of 245 nitrous oxide canisters, a dispenser and 250 balloons. He had originally pleaded not guilty to having the gas with intent to supply, claiming it was for personal use, but changed this to guilty after police said extensive evidence of dealing was found on his mobile phone, including attendance at other festivals. Police said the canisters were intended for legitimate use in the catering industry for the production of whipped cream. Nitrous oxide is also cleared for use in medical and dental applications, for example as an anaesthetic. Possession with intent to supply a psychoactive substance became an offence under the Psychoactive Substances Act 2016 and came into force in May last year.